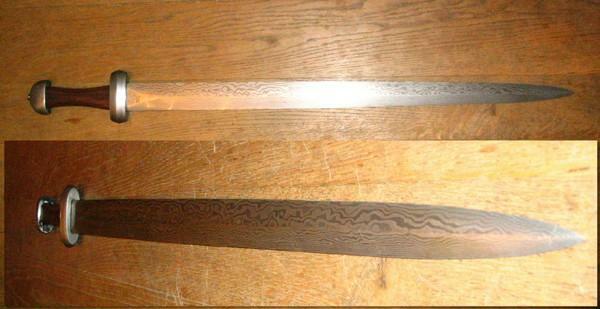 This is the sister sword to the 40 layer seax knife. 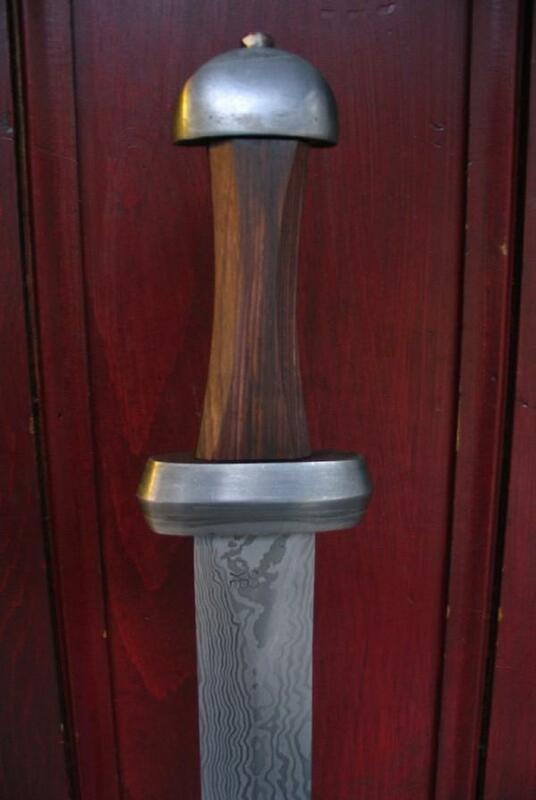 The fittings are wrought iron and the handle is Cocobolo. The blade is 40 layers of 15N20 and 1018.